Unlike other consumer trends (say, the almost zombie-like demand for Pinot Grigios and Malbecs), Sancerre is a sophisticated wine that is worthy of the amount of attention it gets. Situated in northern France along one of its longest, most Chateau-riddled rivers, this appellation is practically synonymous with the Sauvignon Blanc grape (although a few reds and rosés can be made here from Pinot Noir as well). The soils here are a mixture of Kimmeridgean clay (sea-fossilized soil also found in Chablis), stony and flinty soils. Stylistically, the wines are marked by steely, herbaceous notes as well as a creamy minerality. 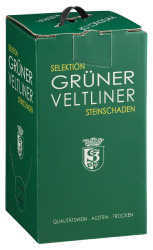 Moreover, its refreshing acidity, subtle complexity and length does make it a great choice at the dinner table. So if you don’t want to get beyond Sancerre, that is fine. Just sit tight. You’re good. But for those who do say it’s time to diversify, you are also in luck, as the Sancerre wine region has many excellent neighbors. These appellations (with one exception) get much less attention but are often no less worthy than their more illustrious neighbor. Pouilly-Fumé: This appellation is situated to the east of Sancerre, right across the river, where the soils have a higher concentration of flint (silex). Some credit this with giving the wines here an element of ‘gunflint’ minerality, more smokiness in the wine. Menetou-Salon: Whereas Sancerre is a mix of three soils, the appellation of Menetou-Salon (located to the southwest of Sancerre) is defined by one soil type: Kimmeridgean clay. If it’s not fossilized ancient seabed, it can’t be Menetou-Salon. These wines give Sancerre a serious run for the money. Quincy: Pronounced CAN-see. This tiny appellation is located southwest of Menetou-Salon on banks of the Cher river, where vineyards are planted on ancient terraces comprised of sand and gravel soils. Reuilly: Located to the southwest of Quincy, the vineyards here are planted on steeper vineyards between the banks of the rivers Cher and Arnon. The soils here are similar to Sancerre, a combination of fossilized marl and gravel. The first thing to note is that it is very easy to get lost in Piedmont. This is true when trying to follow, say, Google directions between wineries. This is surprising when most wineries have existed here for a long, long time, but the fact that they are so established does not translate to their roadside signage. In other cases, roads do not exist where they should (or in our case have fallen down a hillside or over a bridge) or the wineries changed names/ownership but the signs remained the same (not helpful). Somehow, we managed to stay on schedule. 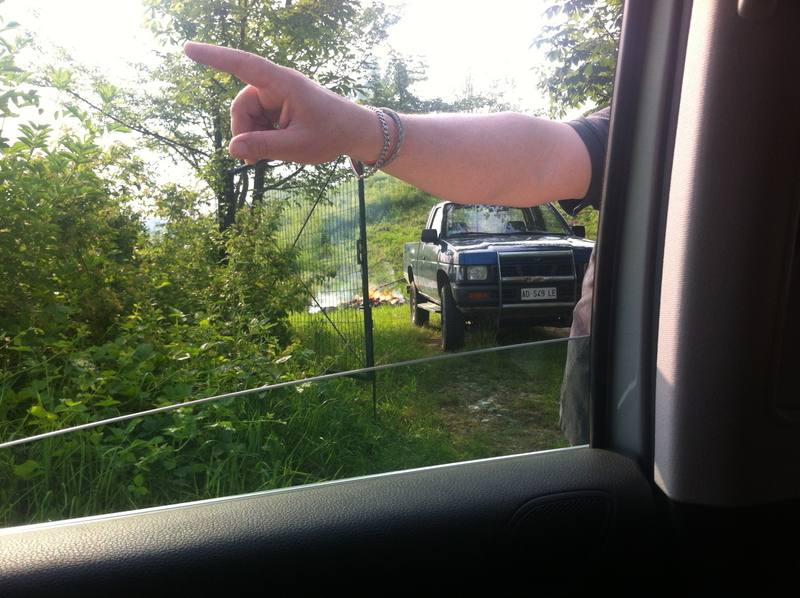 “Go back that way.” (Note: suspicious fire in background, yes we are again lost here). But who can really complain about being in Piedmont? Because more importantly, it is also really easy to lose yourself in the sensory richness of this region, not just among producers, grape varieties and cuisine but also among a vertical tasting of the different vintages from the same producer, or even this same vineyard. It is not only incredibly terroir-driven, but vintage-driven as well. 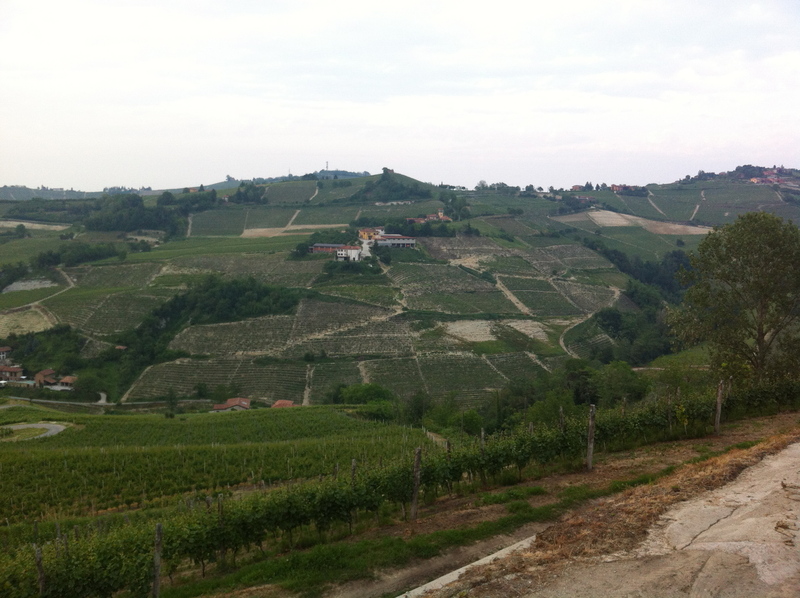 No matter how lost you may become, a visit to Piedmont is a rich experience for the oenophile. The Scagliola estate is located in southern Piemonte in the hills of Monferrato in a small (and hard to find) village of Calosso. What impressed me most about this family run winery was that they were consistent across the board among the numerous offerings from Camilo Metodo Classico (Chardonnay and Pinot Noir in Champagne method) to their Azord blend of Nebbiolo, Barbera and Cabernet Sauvignon. 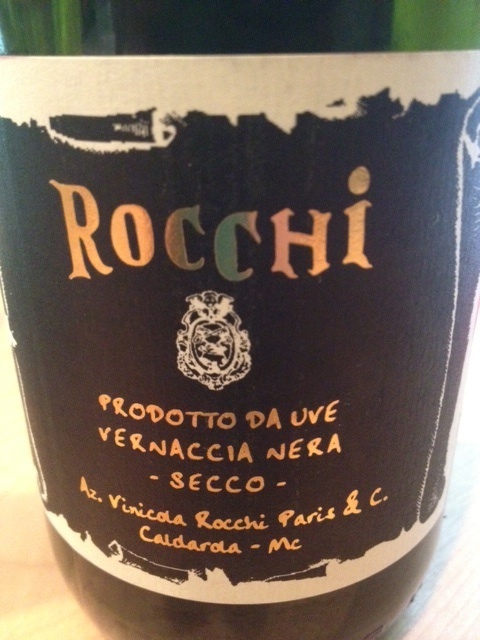 This is a special producer from the Barolo commune of Verduno. 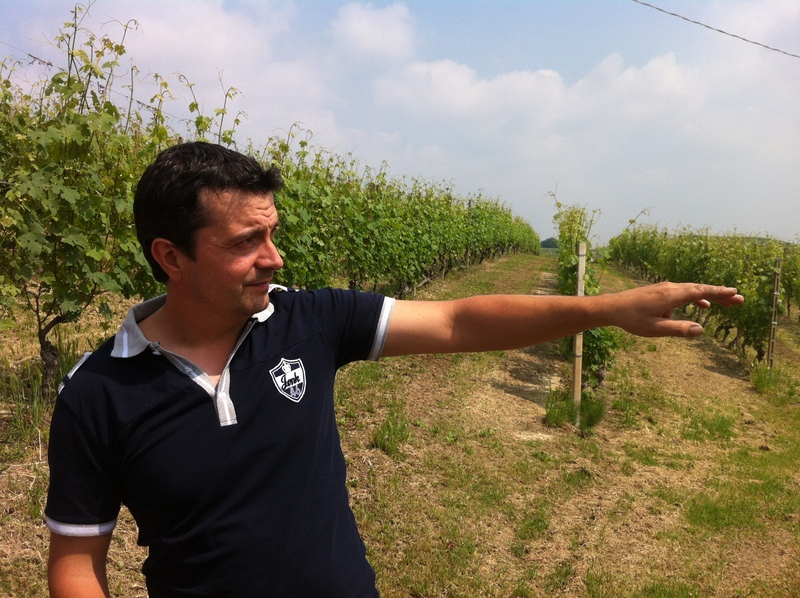 Winemaker/owner Silvio Busco is considered somewhat of an ‘upstart’ because he has only been making wine for twenty years in the Barolo appellation, but it should also be noted that he is only 39! A bright future ahead, Silvio makes a straight Barolo and single vineyard (Monvigliero), as well as tasty reds made from Dolcetto and Pelaverga, grown at lower elevations and ready to drink now. 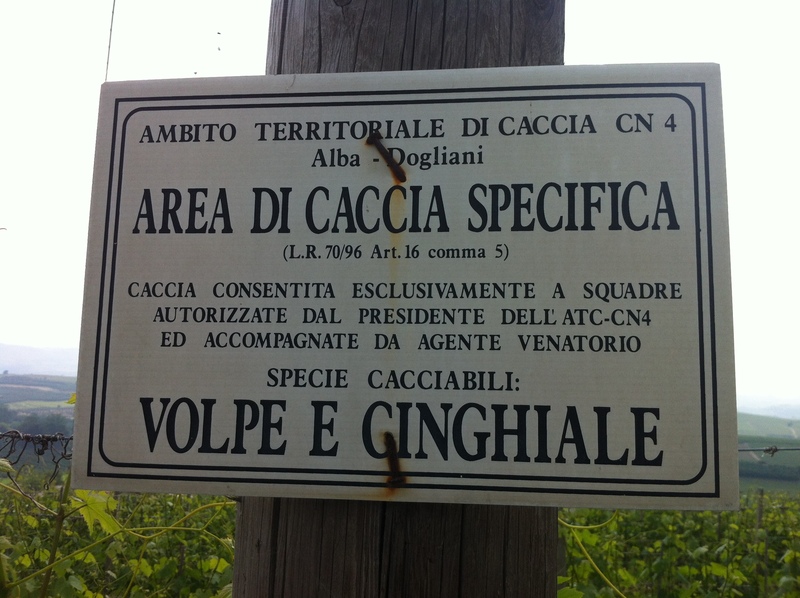 However beautiful the vineyards, I was always on the lookout for wolves (volpe) and wild boars (cinghiale). Thankfully, I saw neither. After tasting through the line-up of Poderi Roset we were treated to lots and lots of carne crudo, followed by the best lasagne I will ever have in my life, prepared by Silvio’s mom. 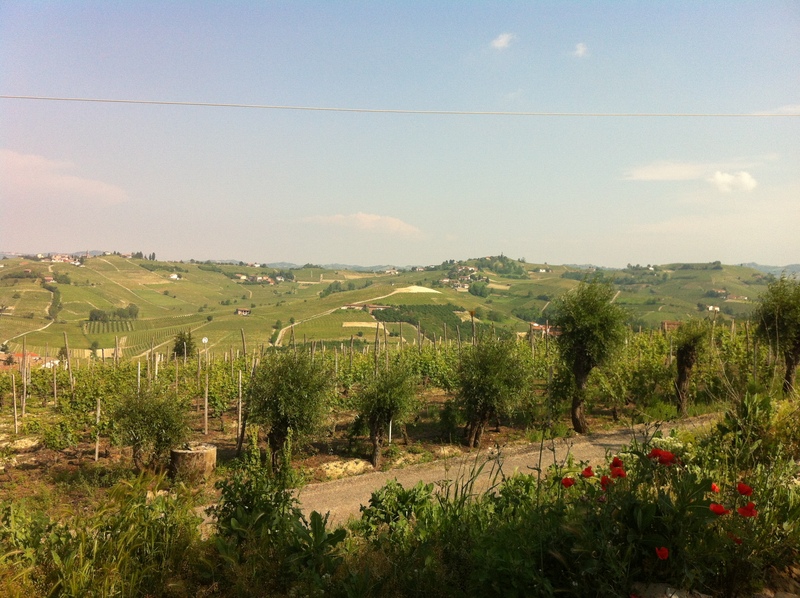 Like the Barolo appellation, Barbaresco is exclusively devoted to red wines from Nebbiolo, but is said to be the more elegant, accessible of the two. Rapalino winemaker, Marco Rapalino, worked under the guidance of the legendary Bruno Giacosa for more than ten years, and it shows. Across the board, these wines are deep, dark and brooding–even the Vughima Freisa, a grape otherwise known for light, strawberry-scented wines. Mechanical engineer Annalisa Battuello switched careers from automobile design to Piedmontese winemaking after she turned forty… so the name I Quaranta not only refers to the village where her Barbera vineyards are located, but also to the fact that she found her ‘true’ direction at age forty. Indeed. Her wines are amazing across the board, and she certainly breathes new life into the Barbera variety…with dry, sweet and sparkling styles. Our small importing team had the opportunity to visit many of our producers in northern and central Italy earlier in the summer. 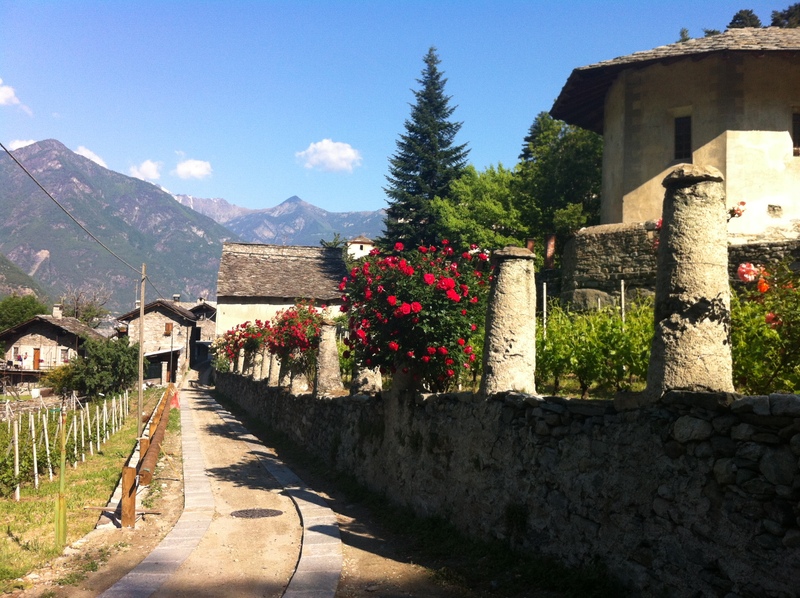 Our first stop was in Valle d’Aosta, the northernmost region of Italy, to visit La Kiuva. 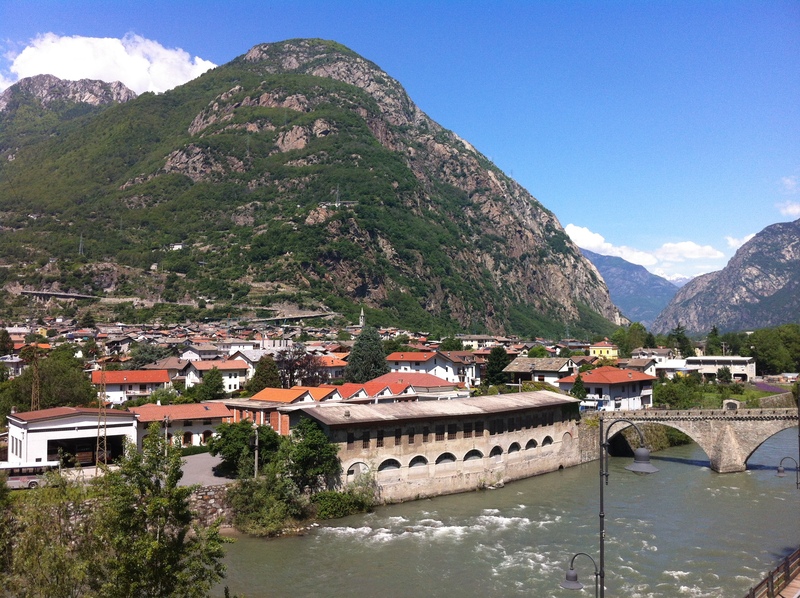 We stayed in Bard, a small village situated along a famous pilgrimage route on the Dora Baltea River. Our host pointed out that those historically those traveling north through this region were traveling for reasons of war and conquest (Roman empire) and those traveling south were doing so for reasons of peace (to the Vatican). Because of French and Swiss influences and also their isolation from the rest of Italy in this mountainous terrain, they are really seen as ‘outsiders’ by most Italians to the south. Despite having such a reputation quirkiness (such as our host answering every question with “perhaps”), I found the people to be quite endearing overall. This tiny, alpine region is predominantly known for its reds from a local clone of Nebbiolo called Picotendro, along with other grapes rarely encountered in the market, such as Gros Vien, Neyret and other field ‘varietal spices’. These vineyards are high and steep (not an ideal place to visit for victims of vertigo) and because of the high elevation, phylloxera (a pest that can be fatal to vines) cannot exist here. 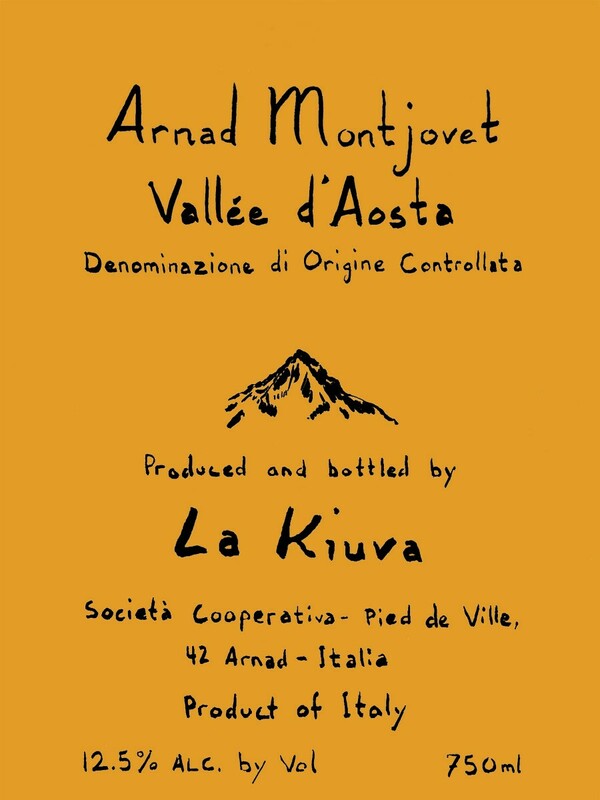 The La Kiuva cooperative oversees 25 hectares of vineyards overseen by about 60 growers in the Aosta AOC sub-zone of Arnad-Montjovet (for reference: there are 350 hectares in the entire AOC of Aosta). Many of the La Kiuva vineyards are centered in and around Chateau Vallaise, a castle which dates back to 15th century. 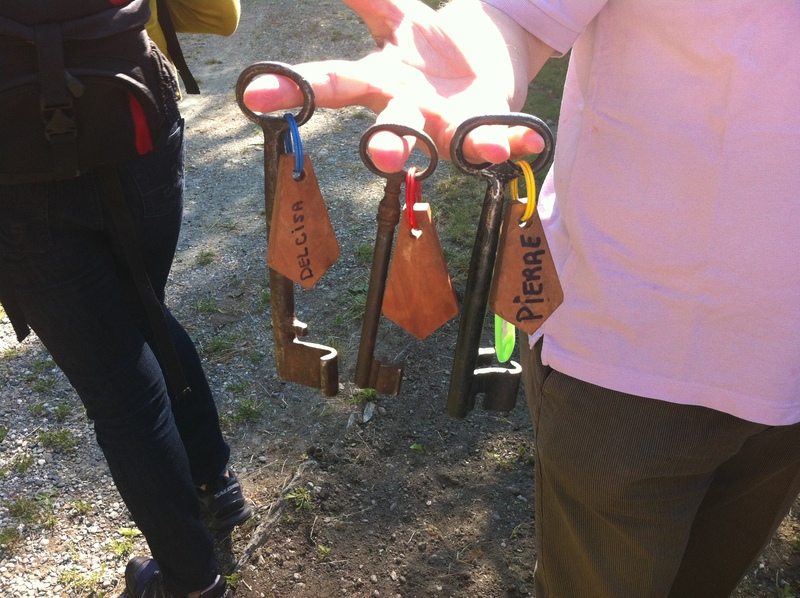 The cooperative makes use of the cellar storage space for riddling (and even the keys to these cellars are ancient )as well as visitor presentations. There are three wines we tried (and loved). La Kiuva Arnad-Montjovet Normale 2011 and Superiore 2007 were both comprised of 75% Picotendro (Nebbiolo), 20% Pinot Noir and that varietal spice from Gros Vien, Neyret, Cornalin and Fumin. I found both to be layered and complex with bright cherry fruit, tea leaf and black pepper spiciness but the Superiore–which sees a year in oak– tended to be much more tannic and structured, like a true Nebbiolo, whereas the Normale drank more like a delicious, accessible Pinot Noir. And the La Kiuva Rosé 2011? that was so good it is already sold out (but you can try it in 2012). 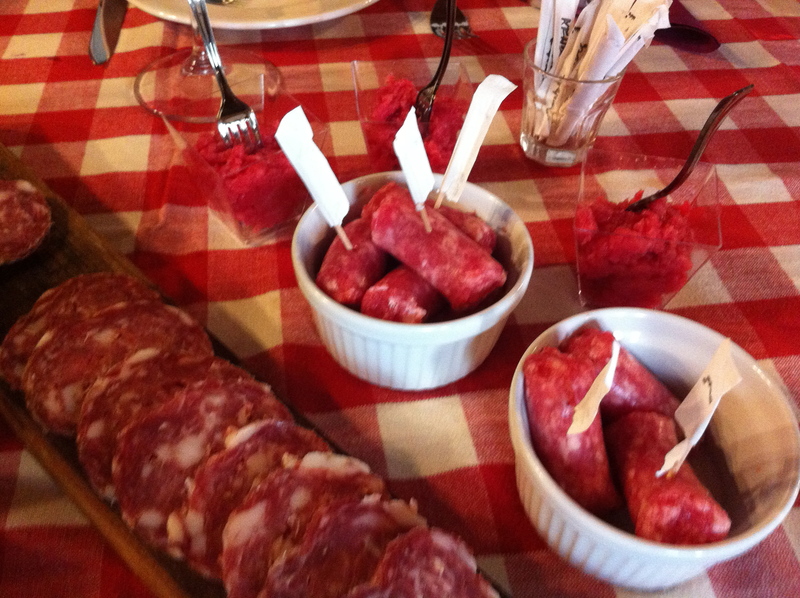 As for pairing, we were treated to numerous dishes of charcuterie, lots of delicious lard, Vitello Tonnato (thin sliced veal with tuna sauce), creamy gnocchi, and one tray that our host would not identify until we tasted it: cow udder. This is true mountain country after all! There are certain wine appellations that are cursed by thriving tourism, and the sunny, Mediterranean region of Provence is one of them. Typically, quality goes to the wayside when you have a steady, reliable market for whatever wine made, whether good or not. Moreover, the region is really, really sunny (I think I said that already), so this is good for tourists, but bad for grapes, which can ripen too quickly for their own good, with lackluster flavors in the final wine. 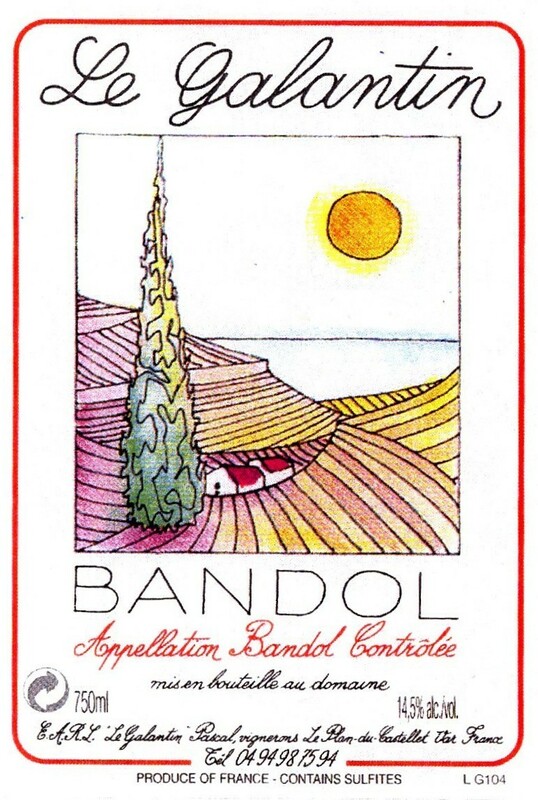 But Bandol is one of the blessed exceptions. The vineyards (first planted by the Greeks in 600 BCE) are planted on south-facing slopes on rustic stone terraces called restanques where they are protected from cold northerly winds, but bathed in warm Mediterranean breezes. This is, in fact, the only French red wine region where Mourvèdre (pronounced muhr-VED-reh) dominates–because this grape actually needs all that glorious sunlight of this region in order to fully ripen; and any Bandol Rouge must have at least 50-95% to be classified as such (pink Bandol wines 20-95%). On its own, this unique variety is known for producing wildly rich, meaty and structured red wines, but it is often blended with Grenache, Cinsault (pronounced SAN-soh), Syrah or Carignan (CARE-in-yawn). The red wines must spend 18 months in oak before it is released. Nota bene: this grape produces substantial wines, red or pink. 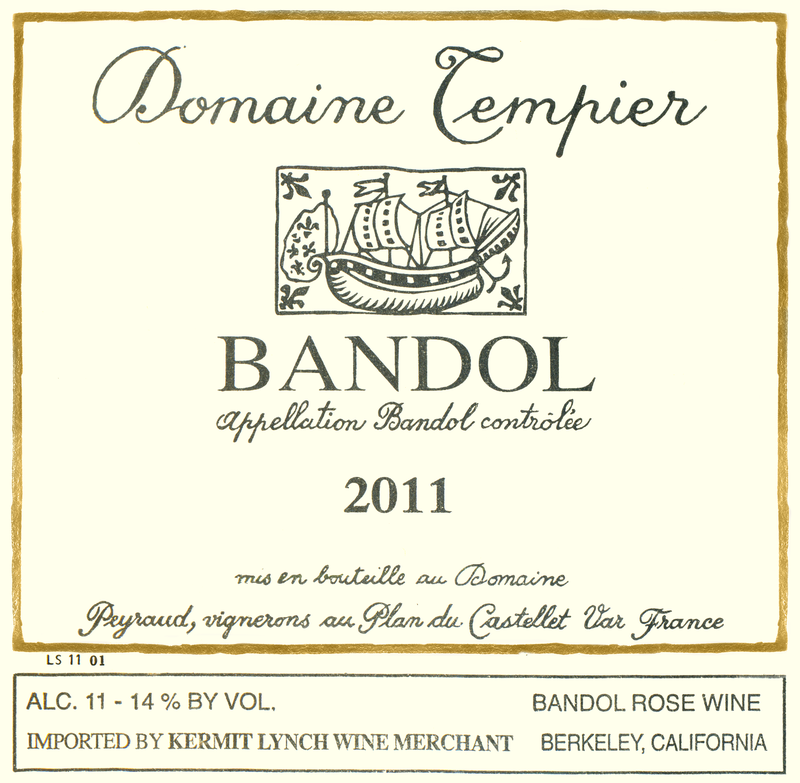 In fact, for restaurant-goers, Bandol Rouge is often a ‘steal’ on a wine list, compared to a Cabernet Sauvignon. Why? Because most consumers simply aren’t familiar with its key grape, Mourvèdre, or the region. But this makes one of the finest French reds in France, and is also responsible for some of the best, most layered rosés. So as far as pairing food with a Bandol Rouge, think savage and meaty. 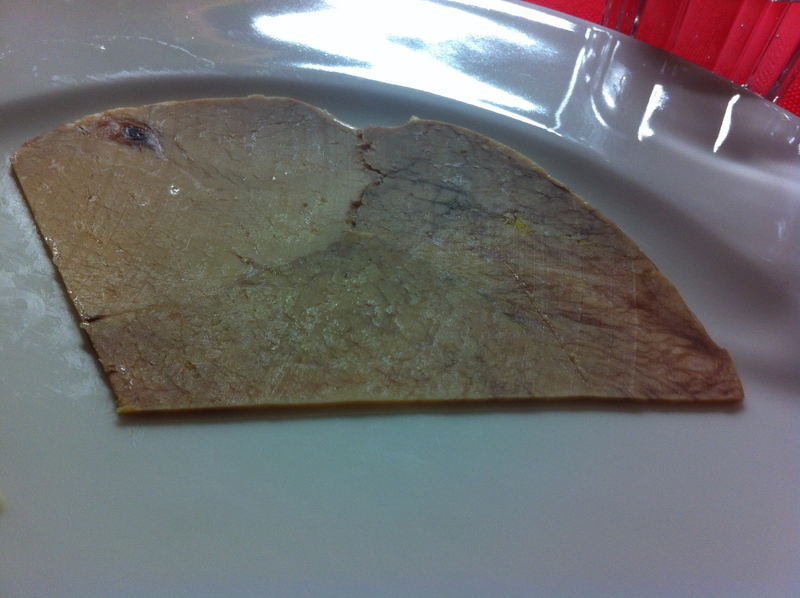 Steak is a no-brainer, roasted pork, or hearty stews or casseroles work very well, but rich cheeses such as Tete-du-Moine from Switzerland, marked by delicious notes of beef consommé, or Pyrenees Agour, a full-flavored savory cheese from the Basque region of Spain. Bandols with some age can be quite a meditative experience without food. Medium salmon-pink in color, brimming with white peach and ‘wet stone’ minerality. Bright acidity and beautiful balance. Very aromatic, and more red berry/strawberry fruit than the Galantin, a little fuller and well-rounded, more glycerol and creaminess in the texture of this wine. 60% Mourvèdre, 30% Grenache, 10% Cinsault. This wine was the youngest sampled, but felt underripe. 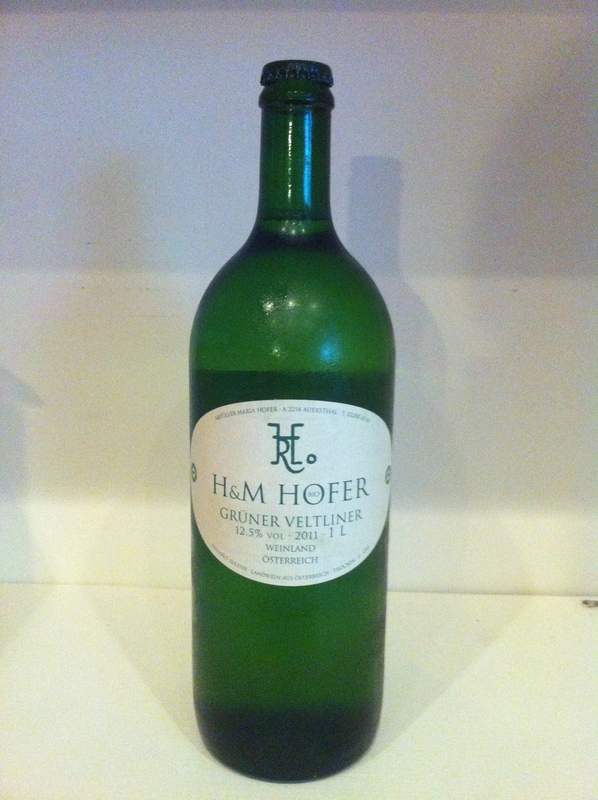 Along with the dark fruit and firm, coarse tannins, there were also a lot of vegetal notes (minty? Eucalyptus?) in this wine. 14% alcohol. 85% Mourvèdre, 15% old-vine Grenache. This wine showed darker fruit notes and much more density, balance than the Revôlution, along with black pepper spice, and firmer, finer tannins. 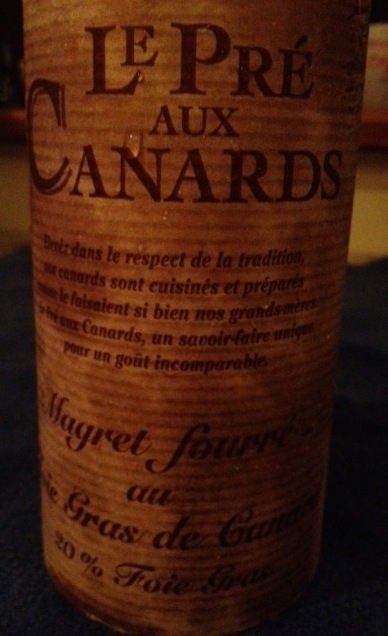 More balance and beauty, and this wine will develop for another 5-10 years. 15% alcohol. 60% Mourvèdre and 40% unstated. Along with darker fruit notes (fig, plum, dried fruit), this wines showed developing coffee and toffee notes, a hint of cola. Ready to drink, now or within 1-2 years. Deep garnet wine with enticing aromas of blackberry fruit, tar, earthiness and a hint of black pepper. This is a deeper, more brooding wine than the Domaine Saint-Annes (I would swear this wine is heavier on the Mourvèdre). Beautifully balanced with lots of concentration, this wine is full-bodied and sumptuous. This will easily age for another 5-8 years, perhaps longer.